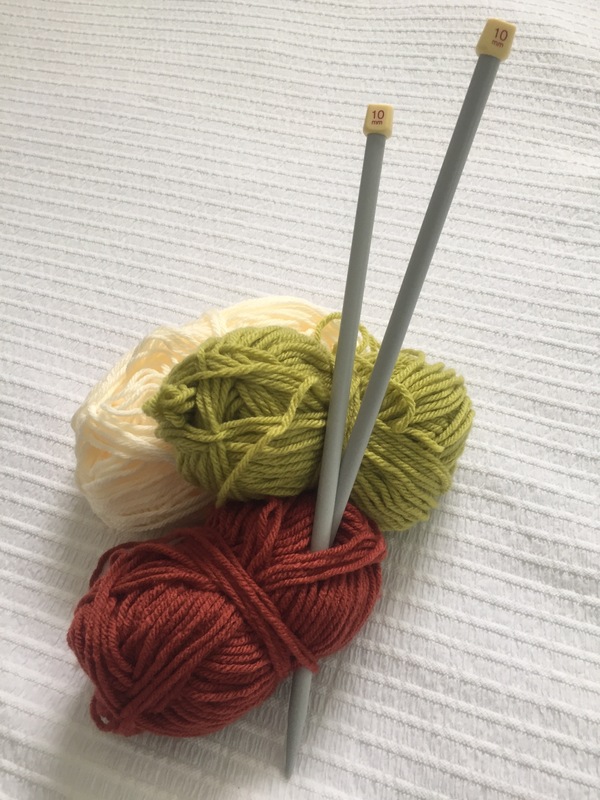 You may have noticed that over the past few weeks I’ve ditched my crochet hook and picked up some knitting needles for a change. 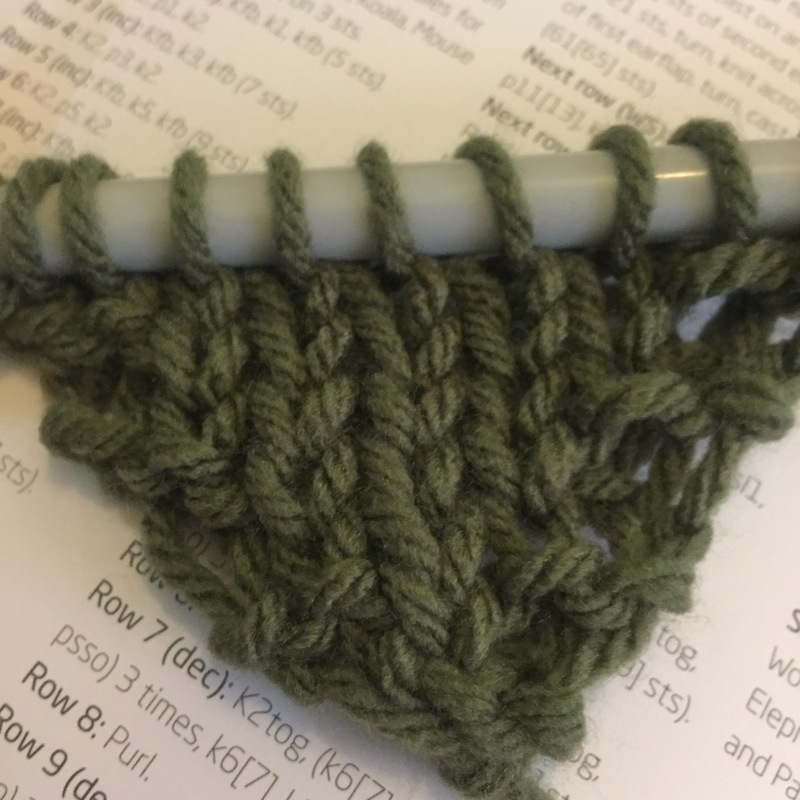 It’s been good fun actually, I don’t always get on too well with knitting as I can come unstuck with tension and I find it difficult to maintain a smooth end result when I keep stopping and starting (usually because I have to do it in short snatches between interruptions). 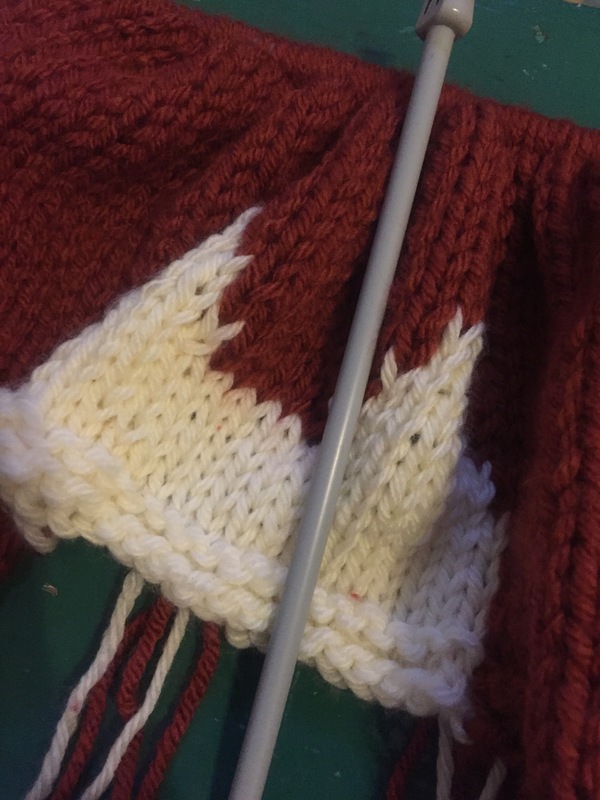 One of the reasons I love crochet so much is that you can stop mid row, chuck on a stitch marker and you can restart days, weeks or months later and it all remains looking lovely. Last Christmas, I was given a knitting book by my brother. He often buys me craft books, and I love using them to inspire my future projects. 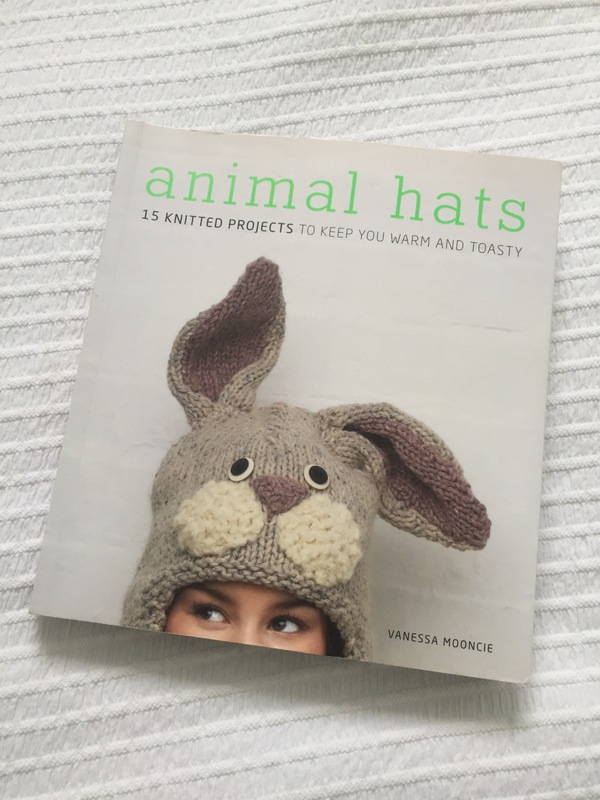 This book, as I’ve mentioned, was knitting rather than my usual crochet, and rather than teaching new techniques or containing projects for the home (as is my usual fodder) it was purely hats, animal hats no less! 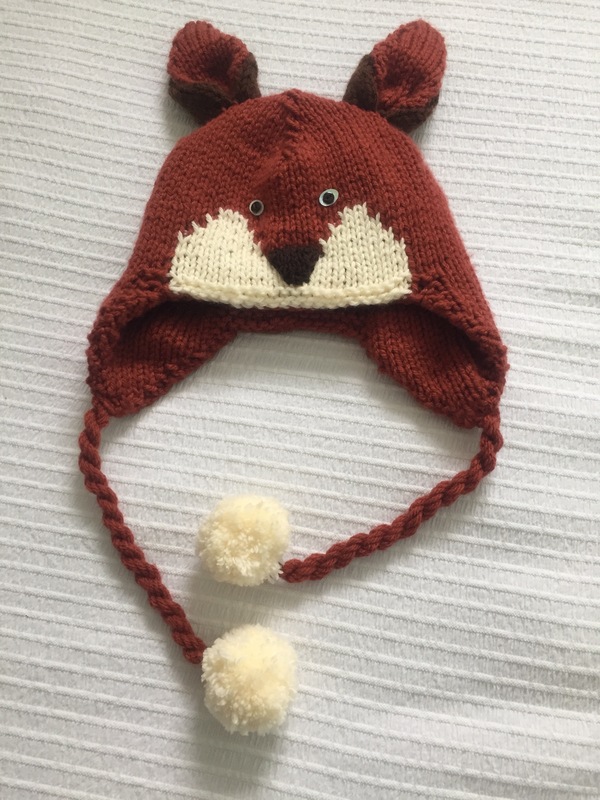 Last year, when there was a dressing-up day at school I used the book to knit a rabbit hat for one of my boys as part of a costume. I found the pattern really easy to follow and quick to work up as they are all worked in chunky wool. There’s nothing more satisfying than having something to show for your efforts in a relatively short period of time. I decided right back on Christmas Day last year, that I’d have a go at making one of the hats as a gift for my brother (he loves hanging about on mountains in inclement weather taking gorgeous photographs so he needs a hat 😉 ). Then when he got engaged recently to his lovely girlfriend, I thought I’d better make one for her too, so she wouldn’t feel left out! And so it began… Before long I was staring at a rather boss-eyed frog! I’ve never attempted that twisty rope effect before – it was fun to have a go at. It was great fun revisiting pompoms – it’s years since I’ve had a go at making them. 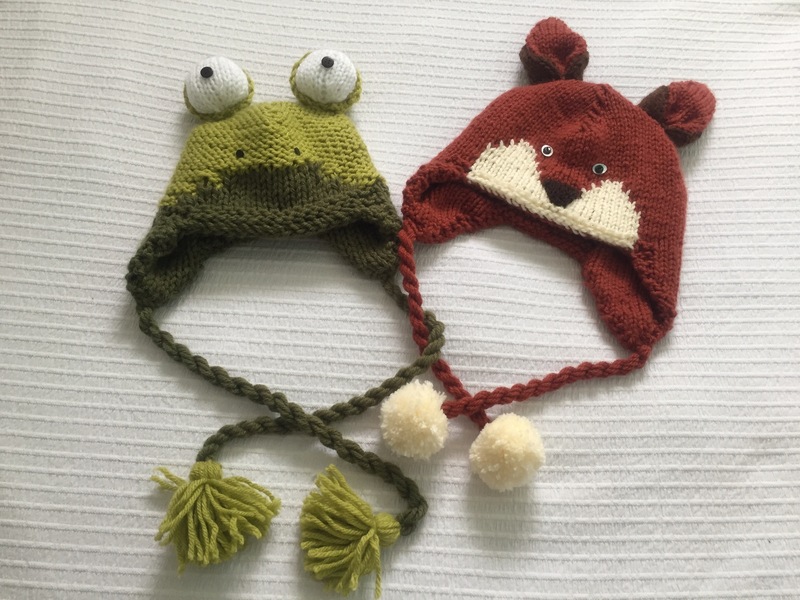 Let’s have a look at them both together, his & hers… Mr Frog & Ms Fox. Aw I think they’re rather cute! 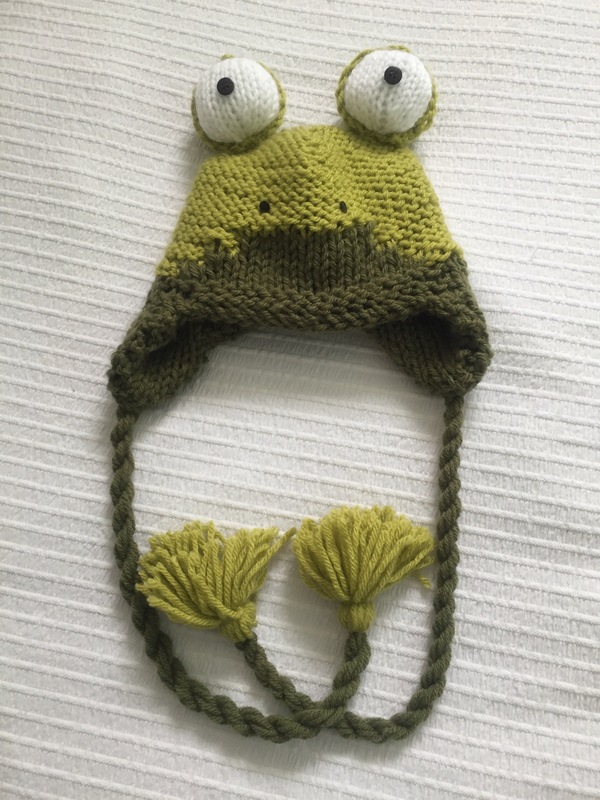 I’m very pleased to say they were well received…and the engagement’s still on despite the fact his weird sister knitted fox & frog hats for them! Whether they’ll get an outing up a mountain in the near future or not, I’m not sure! Next > Trick or treat? Hallowe’en – bah humbug! Oh wow, these are so fun, some animal hats are just too kiddish but these are great. The fox is my favourite. I bet they were thrilled to receive them. Thank you, they did seem pleased! I’m hoping to see a photo of them up a mountain soon 🙂 The fox is my favourite too! Brilliant! It’s good to see that they both have a sense of humour and will wear these hats with no sense of irony at all!